Elephants are gray. Pigs are pink. Only the chameleon has no color of his own. He is purple like the heather, yellow like a lemon, even black and orange striped like a tiger! 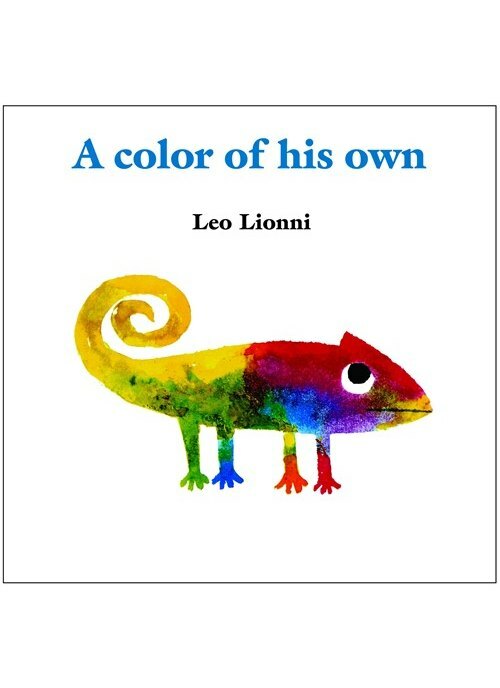 Then one day a chameleon has an idea to remain one color forever by staying on the greenest leaf he can find. But in the autumn, the leaf changes from green to yellow to red . . . and so does the chameleon. When another chameleon suggests they travel together, he learns that companionship is more important than having a color of his own. No matter where he goes with his new friend, they will always be alike. Now available as an eBook.